Brendan joined Stonebridge as a Senior Associate in 2019. He is involved in various aspects of evaluating and closing new transactions as well as monitoring and assisting Stonebridge’s portfolio companies. In addition, Brendan helps coordinate the Firm’s evaluation of new deal opportunities, assists in new business development, and financial reporting and communication between the Firm and its investors. Prior to joining Stonebridge, Brendan spent ten years in management consulting at the Gerson Lehrman Group, Alvarez & Marsal, and Booz Allen Hamilton. He began his career in the sales and trading division of Bear Stearns’ investment bank. Brendan received a B.A. in Economics from Fordham University. 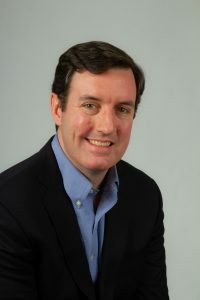 Brendan resides with his wife and daughter in Brooklyn, NY. In his spare time, he enjoys spending time with his family, competing in road races, traveling to historical sites throughout the Northeast, and cheering on the Yankees and the Knicks.